 Last month, TVBEurope, in association with Avid, hosted another of its successful industry roundtables. Acting editor Neal Romanek was there. The latest TVBEurope roundtable, entitled ‘Collaborative Workflows’, roundtable was held at London’s landmark BT Tower. Its purpose was to gather industry leaders to analyse and share common challenges in the brave new world of file-based workflows. Many thorny issues were raised, including the conundrum that file-based workflows often fuel the very fires they aim to put out. The reception afterward was held high atop BT Tower, and featured a stunning view of a rain-drenched London, accompanied by a double-rainbow – perhaps a sign that the stormy world of digital workflows would eventually have a happy ending. Industry participants willing to put all their workflow problems on the table were (anticlockwise from top left in the image above): Ammar Hijazi, TIMA head of operations; Alla Salehian CEO of TIMA; Paul Stevenson, director of technology and technical operations at ITV News; Philip Stevens, TVBEurope contributor and moderator of the session; Jose de Freitas, CTO of Ireland’s TV3; Mark Wilson-Dunn, VP sales and marketing at BT Media and Broadcast; James McKeown, executive editor TVBEurope; Neal Romanek, acting editor TVBEurope; Martyn Suker, head of production innovation at ITV Studios; Craig Dwyer, senior director Global Center of Excellence at Avid; Ian Draysey, manager, post production engineering at Discovery; Steve Bennedik, head of technology at Sky News; Tom Cordiner, VP international sales at Avid; Steve Fish, RVP technology and operations at Turner Broadcasting Systems Europe, and Stephanie Genin, EMEA Field Marketing Director, Avid. Workflows in the broadcast industry are being challenged by file-based implementations, and a project’s journey from concept to delivery is no longer the linear path it once was. Like many industries, broadcast has adopted change slowly, but in the past year, a tipping-point in file-based workflows and IP delivery has been reached. An IT-rate of change, much more rapid than the slower, hardware-centric rate of change of a decade ago, has hit the industry like a hurricane. But there are payoffs in upending the old workflows. Suddenly, whole new vistas have opened for creative collaboration and content distribution. How can broadcasters and content producers rethink their workflows in this new collaborative environment, where the workflow model is now more ecosystem than assembly line? And what needs to be preserved from the old, linear models of production? These were the central questions the roundtable aimed to address. Days before NAB2014, Avid hosted its first Avid Customer Association event. The event was far more successful than the company had hoped, with an anticipated turn-out of 500 people turning into 1100. Roundtable participants Paul Stevenson and Martyn Suker, both of ITV, are members of the Avid Customer Association with Stevenson on the main board and Suker on the advisory council. Cordiner said that Avid’s customers all talk about a relentless pressure on operational efficiency and that they are still required to create the most efficient workflows they can in the mindset of the changing media landscape. Stevens asked the panel what key challenges they faced today with regard to optimising the media that they already had, directing the question first to ITV’s Paul Stevenson, a member of Avid’s ACA. “Systems going forward have to become much more flexible and much more dynamic,” Fish went on to say, “We can no longer build a system with a five year life cycle. There is no way you can now build a system that takes you more than six to 10 months, because by the time you’re at the end of 10 months, the industry’s passed you. The next thing’s happening.” He pointed to the BBC’s Digital Media Initiative as an example of a project existing in an entirely unrealistic time scale. “It’s a good stick for the IT industry to beat the broadcast industry with, isn’t it?,” noted ITV’s Stevenson, “That it’s kind of disparate and doesn’t have any standards. ‘You’re just a mess of standards and there’s no coherence; everyone’s doing everything differently’”. Stevenson said that in the final analysis, “we still need a platform where we do all our stuff”, that a certain amount of stability was required in a platform. Steve Fish agreed, but said that it was essential to be able to incrementally improve platforms, without having to change the whole platform. A new automation system for playout is not something that can be changed quickly. There was laughter around the table as participants recognised the same thorny hurdles in their own organisations. Stevenson concurred: “There are some things so entrenched in your business and so huge that even if they are a bit flakey and crude and clunky, you stick with them because changing them is so difficult and costly. Tom Cordiner believed the two value chains would coincide for a long time. He pointed to the variability between markets. In India, for example, there is a large population that gets its information largely from traditional broadcast, whereas other more developed markets have adopted a more varied value chain. Avid’s Craig Dwyer said that the UK’s DPP deadline, coming up in October has helped force the industry into maturity, by encouraging an agreement on common standards. He noted that Avid now has a variety of options available for users, including monthly subscription licenses. Jose de Freitas of TV3 in Ireland addressed the issue of small broadcaster operability based on his own experience: “Obviously, representing the smallest organisation in the room, one of the interesting things is a subscription-type model that facilitates the ups and downs in the production cycle. Though much of the conversation had been about the difficulties of effectively managing and leveraging new technology. Martyn Suker said that the big issue was not technological change, but that it was – particularly in a production environment – culture change. Suker noted that there is a common conception that moving around media in the digital realm is easier. “But I’m not sure that it is, actually. We’re entering an environment now where we’ve got a hell of a lot more media than we used to have in a tape-based environment. It’s gone crazy in the file-based world. And managing that has become much more difficult. We’ve almost lost control of it. Why have we got more? Because we can. And because we’ve got a lot more people who are self-shooting these days. And because we’ve lost sight of what it means. The unstoppable deluge of files filling a workflow necessitates better and better metadata, but managing the metadata becomes as much, or more, of a challenge as managing the files themselves. Suker noted that the industry does have some common standards for metadata that have been around for some time, but broadcasters still don’t employ them consistently or effectively. Suker’s assessment of the metadata problem was heartily seconded by the majority experience at the roundtable and the discussion that followed delved deep into the problem of metadata. Why aren’t broadcasters using it as well as they should – or could? And if metadata is the key to managing files, is successful metadata the royal road to a successful workflow? Read Part 2 of our Avid Roundtable coverage in TVBEurope’s July issue.